Marina graduated from Aristotle University in Thessaloniki, Greece in 2000. After graduating she worked in hospital dentistry in Crete. In 2001 she came to England and since then she has been working in both NHS and private practices. She has a great interest in Endodontics, which is the branch of dentistry dealing with treatment of the nerves and roots of teeth. One of the most prestigious Endodontics courses in the EU is at Guys Hospital in London where Marina commenced her MSc in Endodontics in 2003. She completed the course in 2005. 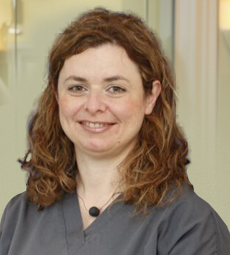 She visits practices in Reading Windsor and Swindon where she limits her practice to endodontics. She provides Endodontics to the highest standards in accordance with latest guidelines and with the use of a microscope. Along with Endodontics Marina also has great experience in all aspects of general dentistry. She regularly attends postgraduate courses. Marina is married with two small children and whenever she finds spare time she likes going to the gym or relaxing with a book.